The diversity of plants can be attributed to pollination and herbivory, both examples of coevolution between animals and plants. Herbivory is believed to have been as much a driving force in the evolution of plant diversity as pollination. Coevolution between herbivores and plants is commonly seen in nature; for example, plants have developed unique ways to fight off herbivores while, in turn, herbivores have developed specialized features to get around these defenses. Plants have developed unique pollination adaptations, such as the ability to capture the wind or attract specific classes of animals. Birds, insects, bats, lemurs, and lizards can act as pollinators; each is attracted to a specific plant adaptation, which has been developed to attract a suitable pollinator. Any disruption between pollinator and plant interactions, such as the extinction of a species, can lead to the collapse of an ecosystem and/or the demise of an agricultural industry. 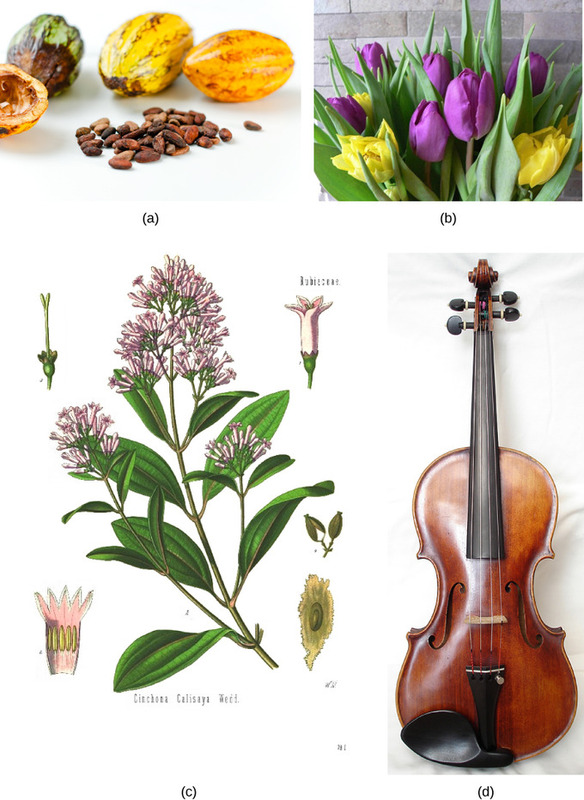 Angiosperm diversity is due in part to multiple interactions with animals. Herbivory has favored the development of defense mechanisms in plants and avoidance of those defense mechanisms in animals. Pollination (the transfer of pollen to a carpel) is mainly carried out by wind and animals; therefore, angiosperms have evolved numerous adaptations to capture the wind or attract specific classes of animals. Coevolution of flowering plants and insects is a hypothesis that has received much attention and support, especially because both angiosperms and insects diversified at about the same time in the middle Mesozoic. Many authors have attributed the diversity of plants and insects to pollination and herbivory, which is the consumption of plants by insects and other animals. This is believed to have been as much a driving force as pollination. Coevolution of herbivores and plant defenses is observed in nature. Unlike animals, most plants cannot outrun predators or use mimicry to hide from hungry animals. A sort of arms race exists between plants and herbivores. To “combat” herbivores, some plant seeds (such as acorn and unripened persimmon) are high in alkaloids and, therefore, unsavory to some animals. Other plants are protected by bark, although some animals have developed specialized mouth pieces to tear and chew vegetal material. Spines and thorns deter most animals, except for mammals with thick fur; some birds have specialized beaks to get past such defenses. Plant defenses from herbivory: (a) Spines and (b) thorns are examples of plant defenses. An extreme example of collaboration between an animal and a plant is the case of acacia trees and ants. The trees support the insects with shelter and food. In return, ants discourage herbivores, both invertebrates and vertebrates, by stinging and attacking leaf-eating organisms. More than 80 percent of angiosperms depend on animals for pollination: the transfer of pollen from the anther to the stigma. Consequently, plants have developed many adaptations to attract pollinators. The specificity of specialized plant structures that target animals can be very surprising. It is possible, for example, to determine the type of pollinator favored by a plant just from the flower’s characteristics. Many bird or insect-pollinated flowers secrete nectar, a sugary liquid. They also produce both fertile pollen for reproduction and sterile pollen rich in nutrients for birds and insects. Butterflies and bees can detect ultraviolet light. Flowers that attract these pollinators usually display a pattern of low ultraviolet reflectance that helps them quickly locate the flower’s center to collect nectar while being dusted with pollen. Large, red flowers with little smell and a long funnel shape are preferred by hummingbirds who have good color perception, a poor sense of smell, and need a strong perch. White flowers that open at night attract moths. Other animals (such as bats, lemurs, and lizards) can also act as pollinating agents. 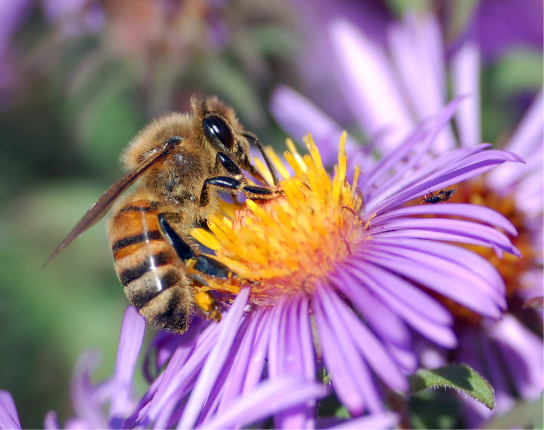 Any disruption to these interactions, such as the disappearance of bees as a consequence of colony collapse disorders, can lead to disaster for agricultural industries that depend heavily on pollinated crops. Animal-aided pollination: As a bee collects nectar from a flower, it is dusted by pollen, which it then disperses to other flowers. Human life has become dependent on plants for the qualities and developments that they provide, which include medicine and food production. Providing much of the nutritional values that humans need, seed plants are the foundation of human diets across the world. Wood, paper, textiles, and dyes are just a few examples of plant uses in everyday human life. Traditionally, humans have also used plants as ornamental species through their use as decorations and as inspiration in the arts. As medicinal sources, plants are vital to humans, as many modern drugs have been derived from secondary plant metabolites; ancient societies also depended on them for their curative properties. The important relationship that human cultures have developed with plants can be studied through the field of ethnobotany. Seed plants are cultivated for their beauty and smells, as well as their importance in the development of medicines. Plants are also the foundation of human diets across the world. Many societies eat, almost exclusively, vegetarian fare and depend solely on seed plants for their nutritional needs. A few crops (rice, wheat, and potatoes) dominate the agricultural landscape. Many crops were developed during the agricultural revolution when human societies made the transition from nomadic hunter–gatherers to horticulture and agriculture. Cereals, rich in carbohydrates, provide the staple of many human diets. In addition, beans and nuts supply proteins. Fats are derived from crushed seeds, as is the case for peanut and rapeseed (canola) oils, or fruits such as olives. Animal husbandry also requires large amounts of crops. Importance of plants to humans: Humans rely on plants for a variety of reasons. (a) Cacao beans were introduced in Europe from the New World, where they were used by Mesoamerican civilizations. Combined with sugar, another plant product, chocolate is a popular food. (b) Flowers like the tulip are cultivated for their beauty. (c) Quinine, extracted from cinchona trees, is used to treat malaria, to reduce fever, and to alleviate pain. (d) This violin is made of wood. Staple crops are not the only food derived from seed plants. Fruits and vegetables provide nutrients, vitamins, and fiber. Sugar, to sweeten dishes, is produced from the monocot sugarcane and the eudicot sugar beet. Drinks are made from infusions of tea leaves, chamomile flowers, crushed coffee beans, or powdered cocoa beans. Spices come from many different plant parts: saffron and cloves are stamens and buds, black pepper and vanilla are seeds, the bark of a bush in the Laurales family supplies cinnamon, and the herbs that flavor many dishes come from dried leaves and fruit, such as the pungent red chili pepper. The volatile oils of flowers and bark provide the scent of perfumes. Additionally, no discussion of seed plant contribution to human diet would be complete without the mention of alcohol. Fermentation of plant-derived sugars and starches is used to produce alcoholic beverages in all societies. In some cases, the beverages are derived from the fermentation of sugars from fruit, as with wines, and, in other cases, from the fermentation of carbohydrates derived from seeds, as with beers. Seed plants have many other uses, including providing wood as a source of timber for construction, fuel, and material to build furniture. Most paper is derived from the pulp of coniferous trees. Fibers of seed plants, such as cotton, flax, and hemp, are woven into cloth. Textile dyes, such as indigo, were mostly of plant origin until the advent of synthetic chemical dyes. Lastly, it is more difficult to quantify the benefits of ornamental seed plants. These grace private and public spaces, adding beauty and serenity to human lives and inspiring painters and poets alike. The medicinal properties of plants have been known to human societies since ancient times. There are references to the use of plants’ curative properties in Egyptian, Babylonian, and Chinese writings from 5,000 years ago. Many modern synthetic therapeutic drugs are derived or synthesized de novo from plant secondary metabolites. It is important to note that the same plant extract can be a therapeutic remedy at low concentrations, become an addictive drug at higher doses, and can potentially kill at high concentrations. The relatively new field of ethnobotany studies the interaction between a particular culture and the plants native to the region. Seed plants have a large influence on day-to-day human life. Not only are plants the major source of food and medicine, they also influence many other aspects of society, from clothing to industry. The medicinal properties of plants were recognized early on in human cultures. From the mid-1900s, synthetic chemicals began to supplant plant-based remedies. To become an ethnobotanist, a person must acquire a broad knowledge of plant biology, ecology, and sociology. Not only are the plant specimens studied and collected, but also the stories, recipes, and traditions that are linked to them. For ethnobotanists, plants are not viewed solely as biological organisms to be studied in a laboratory; they are seen as an integral part of human culture. The convergence of molecular biology, anthropology, and ecology make the field of ethnobotany a truly multidisciplinary science. Plant biodiversity, vital to ecosystems, food crops, and medicine production, is threatened by habitat destruction and species extinction. Plant biodiversity is invaluable because it balances ecosystems, protects watersheds, mitigates erosion, moderates climate, and provides shelter for animals. Threats to plant biodiversity include the increasing human population, pollution, deforestation, and species extinction. Plant extinction is progressing at an alarming rate; this, in turn, affects other species, which also become extinct because they depend on the delicate ecological balance.Efforts to preserve plant biodiversity currently include heirloom seed collections and barcoding DNA analysis. Plants play a key role in ecosystems. They are a source of food and medicinal compounds while also providing raw materials for many industries. 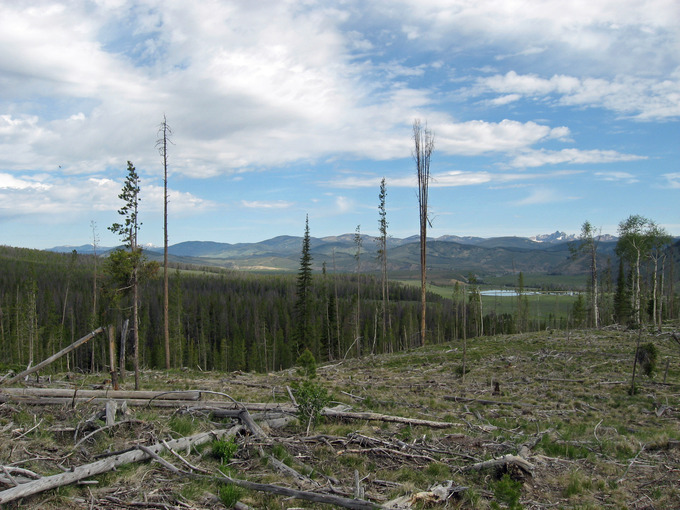 Rapid deforestation and industrialization, however, threaten plant biodiversity. In turn, this threatens the ecosystem. Biodiversity of plants ensures a resource for new food crops and medicines. Plant life balances ecosystems, protects watersheds, mitigates erosion, moderates climate, and provides shelter for many animal species. Threats to plant diversity, however, come from many angles. The explosion of the human population, especially in tropical countries where birth rates are highest and economic development is in full swing, is leading to human encroachment into forested areas. To feed the larger population, humans need to obtain arable land which leads to massive clearing of trees. The need for more energy to power larger cities and economic growth results in the construction of dams, the consequent flooding of ecosystems, and increased emissions of pollutants. Other threats to tropical forests come from poachers who log trees for their precious wood. Ebony and Brazilian rosewood, both on the endangered list, are examples of tree species driven almost to extinction by indiscriminate logging. Indiscriminate logging: Indiscriminate logging, which leads to the clearing of whole habitats, has become a severe threat to plant biodiversity and has led to species extinction. The number of plant species becoming extinct is increasing at an alarming rate. Because ecosystems are in a delicate balance and because seed plants maintain close symbiotic relationships with animals, whether predators or pollinators, the disappearance of a single plant can lead to the extinction of connected animal species. A real and pressing issue is that many plant species have not yet been cataloged; their place in the ecosystem is unknown. These unknown species are threatened by logging, habitat destruction, and loss of pollinators. They may become extinct before we have the chance to begin to understand the possible impacts resulting from their disappearance. Efforts to preserve biodiversity take several lines of action, from preserving heirloom seeds to barcoding species. Heirloom seeds come from plants that were traditionally grown in human populations, as opposed to the seeds used for large-scale agricultural production. Barcoding is a technique in which one or more short gene sequences, taken from a well-characterized portion of the genome, are used to identify a species through DNA analysis.